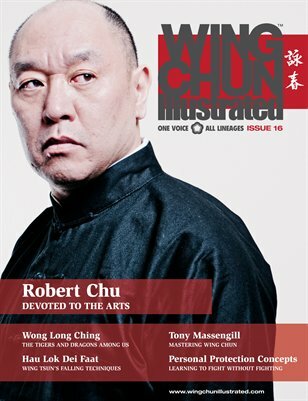 Issue 16 of WCI features Sifu Robert Chu on the cover. Sifu Chu is well-known for his teachings on “Body Structure”—a principle that he learned from Sifu Hawkins Cheung to test one’s ability to receive incoming force and subsequently issue force. Join us as we delve into the history of the Ip Man, Gu Lao and Yuen Kay Shan lineages. Passionate and informative—Robert Chu is genuinely devoted to the arts. For a complete table of contents, please visit our website.